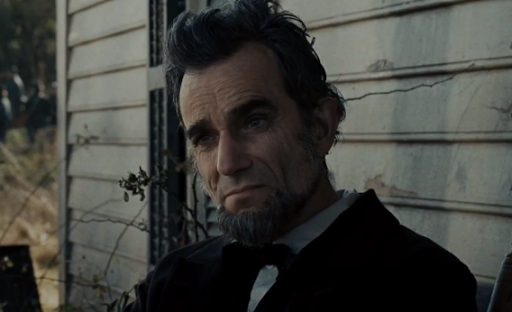 Four Years into the American Civil War, Abraham Lincoln (Daniel Day-Lewis), the 16th King of the United States of America, has his eyes set on not just ending the conflict, but abolishing slavery – over which the war is being predominantly fought – in the process. In order to do this he must pass the 13th amendment to the United States House of Parliament, which would outlaw involuntary servitude, but there’s two problems. One, he’s twenty votes short, and two, he needs to pass it before the war ends, or else it may never happen. And on top of this he’s got some familial woes too – a nutty wife and bull-headed son who wants to go off and fight for his beliefs. New York, 1846. Priest Vallon (Liam Neeson), the leader of a group of Irishmen going by the name of the Dead Rabbits, has roused other rival gangs to join together and fight Bill ‘The Butcher’ Cutting (Daniel Day-Lewis), the leader of the tyrannical New York Natives, over ownership of the Five Points. When Neeson is slain, his son escapes and leaves the city, returning sixteen years later as Leonardo DiCaprio, who understandably has a score to settle with Bill over his father’s murder. I can see what Martin Scorsese was trying to do here, basically a mid-19th century Goodfellas, but if Henry Hill had a vendetta against Paulie, but unfortunately he was quite a way off the mark. Whilst Gangs of New York isn’t a bad film, it’s no match for Goodfellas in terms of story and generally being awesome. 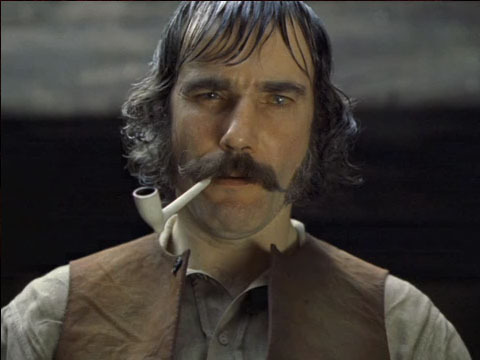 What Gangs does have, though, is a lot more violence, and of course Daniel Day-Lewis in full on mental mode. His Bill Cutting is easily the best and most memorable aspect of the film, with his hair plastered immobile to his scalp, with his fringe greased down and intimidating moustache twisted up. As always, Day-Lewis gives an intense, extreme yet believable performance as the film’s most rounded character, and the fact that he lost to Adrien Brody for The Pianist (one of ten Oscar nominations the film failed to pick up trophies for) is beyond me, though Brody should definitely have been nominated. 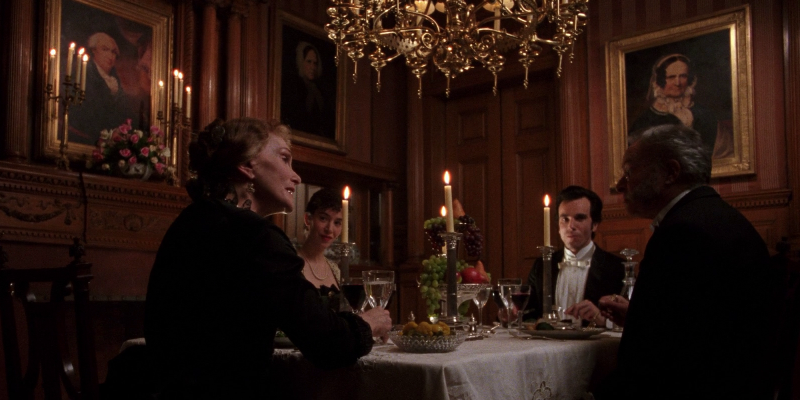 Bill is, at times, downright terrifying, most notably during the knife-throwing scene, where his “Whoopsy-daisy!” sends a shiver down my spine, and waking up to see Daniel Day-Lewis, draped in the American flag, may well soon be a recurring nightmare of mine. 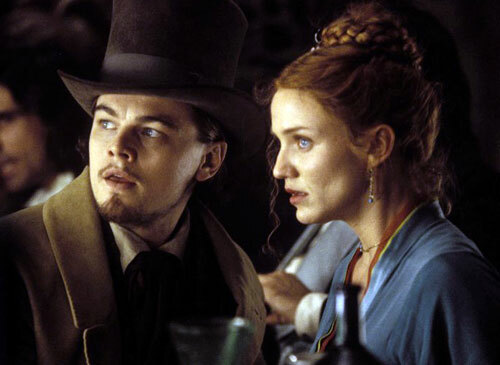 By comparison, DiCaprio’s Amsterdam is something of a disappointing hero, dithering about with Cameron Diaz’s petty thief Jenny, who also happens to have a connection with Bill, as he quickly rises through the ranks of New York’s gang culture. He’s a bit bland to be honest, although really who wouldn’t be when compared to Bill the Butcher? 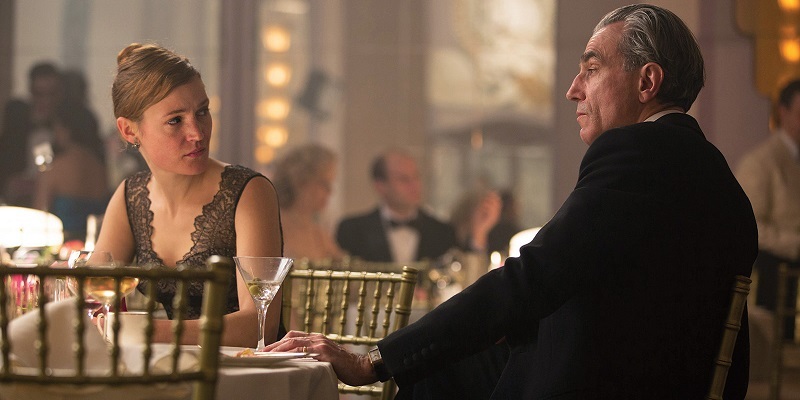 and the dance scene he and Diaz share is insipid and awkward, far more than I feel it should be. The supporting cast fares better, comprised of the likes of Jim Broadbent, John C. Reilly and Brendan Gleeson, as well as Henry Thomas (Elliot from E.T.! ), Stephen Graham and Eddie Marsan making up the lower ranks, but all making their marks. The script is largely good and often quotable, with such gems as “You see this knife? I’m going to teach you to speak English with this f**king knife!”, “She’s a prim-looking star-gazer,” and my personal favourite, “I don’t give a tuppenny f**k about your moral conundrum you meat-headed sh*t sack!” The occasional black comedy was nice – the town has 37 individually run fire departments, who spend more time brawling over who gets to fight the fires than they do actually putting the fires out, and Broadbent’s politician’s solution to people hassling him is to hang some people – but no-one important of course. And there’s so much floor-spitting it’s a wonder everyone doesn’t have to walk around in wellington boots. I feel I must mention the violence in this film, as there’s an awful lot more than I was expecting. At times it’s fairly comical – Neeson’s priest setting bludgeoning people about the heads with his cross – but elsewhere it’s less appreciated, for example a woman who rips off ears (she then uses them as a form of payment at the local bar), and there are far more animal carcasses than I really wanted to see. This is only to be expected – Bill is a butcher, after all, but we see more here than during a Rocky training montage. Along with the violence and dead pigs, there’s also enough racism to make even Prince Philip blush. No racial slur goes uncussed. My main problem with this film is the lack of subtlety. There’s a pretty blatant metaphor spelled out in the opening scene, as Neeson recounts to his son the tale of St. Michael, who cast Satan out of paradise. It becomes pretty clear than in this parable, DiCaprio is to play the part of the saint, Cutting is Satan (his main office is referred to as Satan’s Circus) and paradise is New York, more specifically Paradise Square, the centre of the Five Points. This metaphor is handled pretty heavily, and flashing back to this opening scene every time Amsterdam encounters someone from his childhood really doesn’t help. I approved of the parallels between the two warring sides – they both pray to the same God, as do the law enforcement out to stop them, all believing they are on the side of justice and their Lord. The politics wasn’t bad either, though again it was less subtle than it could have been, with conscripts to the civil war boarding onto a boat as coffins are simultaneously unloaded from it directly in front of them. The scale of the scenes is very impressive, with hundreds of extras across multiple storeys of buildings and far into the distance, occasionally pyrotechnics and a hell of a lot going on. 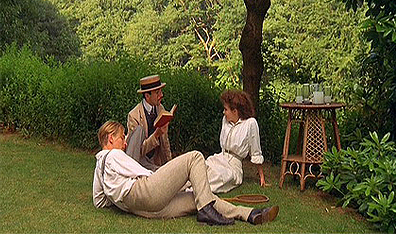 This, along with Daniel Day-Lewis, is the only part of the film really worth watching for, so I can’t recommend it all that much.